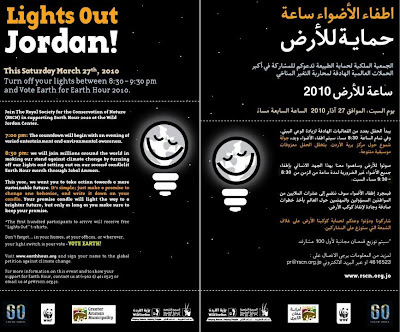 Miss Arafat: "Earth Hour" The Awareness Campaign! Take a stand against climate change and save some energy participating in this global event.. 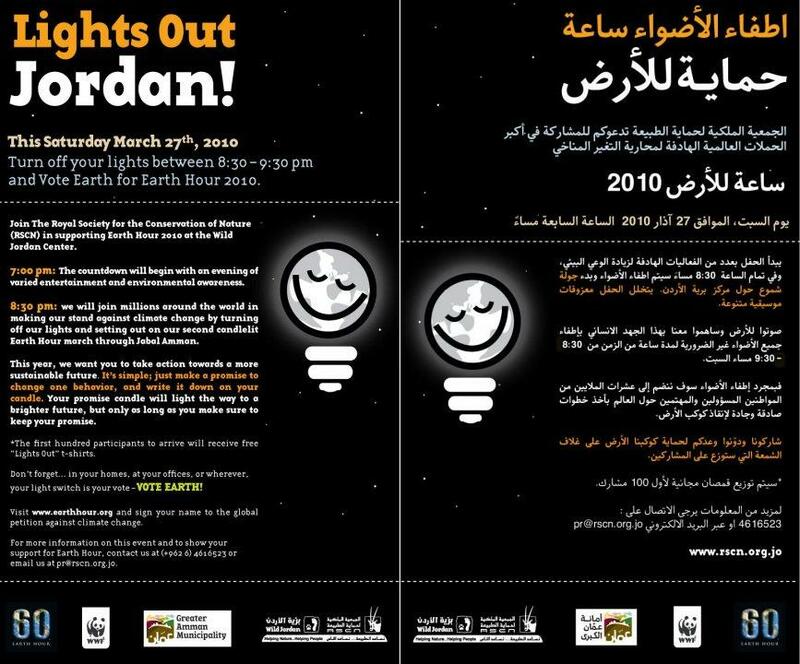 This year Earth Hour will take a place on March 27 in Wild Jordan - Jabal Amman, from 8:30 p.m. to 9:30 p.m.
You can find the even on Facebook.. I am really hoping for an Earth Day event on April 22 so help in saving the environment more..
LOOOL u remind me with me last year, when I thought all our neighbors will switch off the lights, I was waiting holding my camera to document that special moment< my brother came and said "احلام فتاة اردنية"
This year we did it.. Anything works on electricity has been turned off for a whole hour.. I really feel good about that..